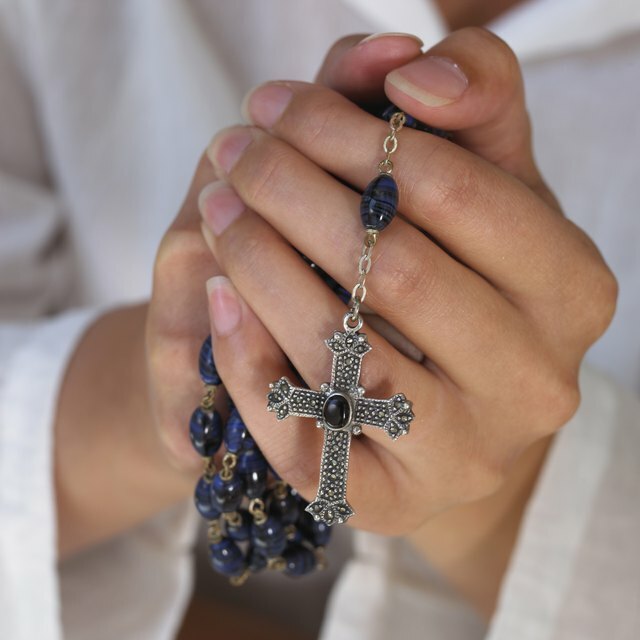 Can a Roman Catholic Funeral Vigil Take Place on a Sunday? 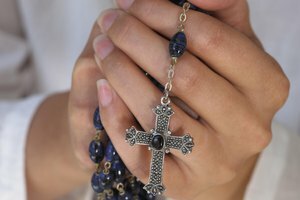 What Is a Catholic Wake? 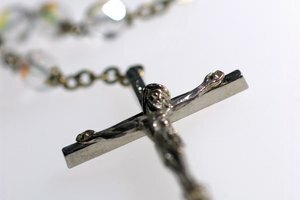 Can Catholics Be Buried During Holy Week? 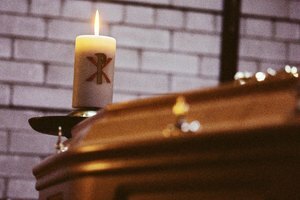 Holy Week may affect Catholic funeral planning. This is a simple question, but the answer is quite complicated! Strictly speaking, the answer is “yes,” since there is no rule prohibiting the burial of Catholics on any day during Holy Week (which runs from Palm Sunday to Holy Saturday). For Monday, Tuesday and Wednesday of that week, the answer is clearly “yes.” However, because of funeral Mass restrictions, it is highly irregular for a Catholic to be buried on the other four days of Holy Week. There are actually three Catholic ceremonies marking the death of a loved one. The first is the vigil, or wake, which is held in the afternoon and/or evening of the day before the funeral. It consists of prayers, readings, and reminiscences. The second ceremony is normally a funeral Mass, a special Mass with prayers and readings suited to the occasion. 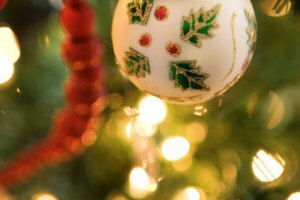 The final ceremony is the committal, or burial, the prayers and ritual accompanying the burial of the deceased in a cemetery -– this happens immediately after the funeral Mass. A rule restricting the scheduling of funeral Masses during Holy Week is found in the “General Instruction of the Roman Missal.” The rule specifies that funeral Masses may not be held on Sundays during Lent (this includes Palm Sunday), Holy Thursday or the Paschal Triduum (which extends through Good Friday to Easter Sunday). It follows that burials are normally not scheduled on these days either, as the burial is held immediately after the funeral Mass. Because the other three days of Holy Week (Monday to Wednesday) are not mentioned in the rule, there is no problem celebrating a funeral Mass -– followed by a burial –- on those days. However, to complicate the picture further, there is the option -– not the church’s preferred option –- of using a different funeral ceremony: a funeral liturgy that does not include a Mass. This liturgy consists of readings and prayers, but no Communion. While it is difficult to find a priest to preside at such a ceremony during Holy Week (a busy week for priests), a funeral liturgy is an option. In this scenario, the burial may happen following a funeral liturgy held on any day of Holy Week. Holy Week is the most solemn period of the church’s year. During this week Catholics are invited to focus intensely on the commemoration of the suffering and death of Jesus Christ, in preparation for the joyous celebration of the Resurrection on Easter Sunday. 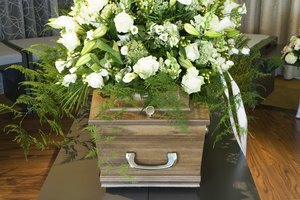 Though there is no absolute prohibition on burials on any day of this week, it is certainly not the best time to schedule a ceremony to say a final farewell to a loved one. That is why funeral ceremonies for Catholics who die during Holy Week are normally delayed until Easter Monday or later. John P. Moore has been writing about the intersection between faith and culture since 1997. His articles have appeared in both religious and mainstream publications, including the "Ottawa Citizen" and the "Montreal Gazette". He received a Bachelor of Arts in English and a Masters of Theology from the University of Toronto. What Does a Priest Do for a Funeral? Who Is Allowed in a Funeral Mass in the Catholic Church? 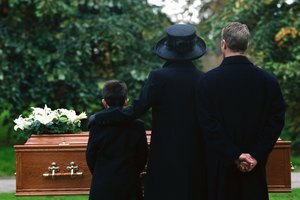 How Soon Are Funerals After Someone Dies for Catholics? Why Does the Catholic Church Cover the Statues During Passiontide? P., John. "Can Catholics Be Buried During Holy Week?" Synonym, https://classroom.synonym.com/can-catholics-be-buried-during-holy-week-12087428.html. 29 September 2017.